Kevin Staveley has recently noticed that the number of players playing in weekend congresses has fallen. To better understand the reasons for this fall, would members please complete the questionnaire below and return it to Kevin Staveley (kevin.staveley@btinternet.com). This year’s Championships were, once again, held at the Cardiff North Hotel. Numbers were slightly down on previous years but this was understandable due to a clash with the World Seniors Championships taking place simultaneously in Rhodes. 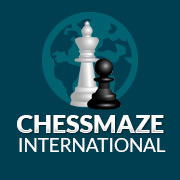 1st Alex Bullen 9/112nd Grzegorz Toczek 8.5/11=4th Robert Taylor, Tom Brown 8/1125 players competed. The joint winners were Friedemann Brock (2241 Germany), currently working at Swansea Uni & Ian Jones 4.5/5, so Ian receieved the A O Jones trophy. 34 players entered, 2 failed to show, but 2 new entrants turned up on the day. The games can now be downloaded from the Games page. The games from the Dyfed Congress are now available on the Games page. All games from Rounds 1-3 are now available on the games page. The games from the Open are now available on the Games page.